This clip is not for sensitive viewers. 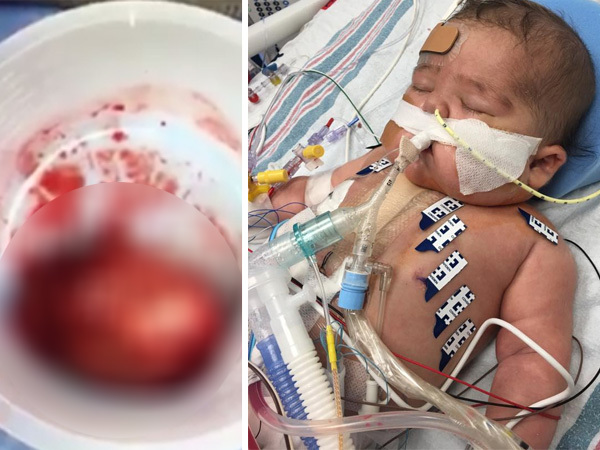 The parents of a baby who had a heart transplant have captured how the heart their son was born with beat for the last time while lying in a petrie dish. The UK's MailOnline reports Henry Dolan was born with two heart defects. He finally had a heart transplant this past Sunday. His parents, Mollie and Sam Dolan, of Minnesota in the US, documented the process with pictures and posts on their Facebook page Hope for Henry. The video of the tiny beating heart was also shared on the Facebook page. Be warned: this clip is not for sensitive viewers. Henry’s parents explain that they started the page that so that everyone who prays for Henry could be part of a community. Henry was born 12 weeks early on 2 May 2016. According to The Mirror Henry’s parents recently heard that there was a heart available for their child. The transplant operation appears to have been successful.